Some warmth returns to Houston briefly on Thursday before a cool front sweeps into the region on Friday, bringing the coldest weather since February. 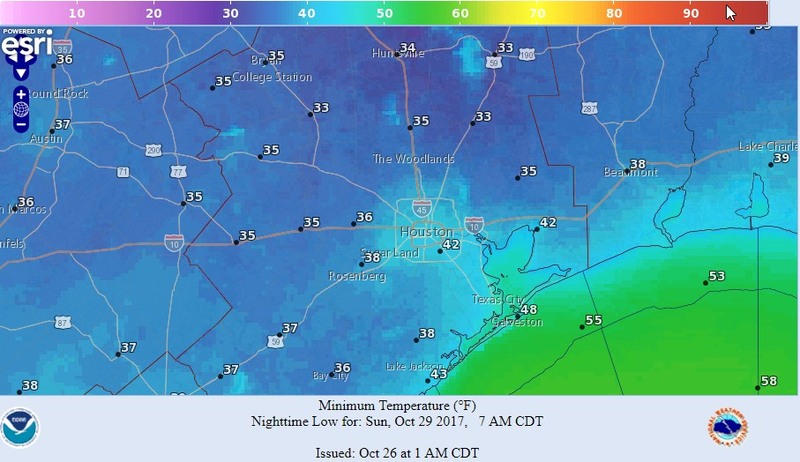 While the greater Houston area is unlikely to freeze, inland areas have a decent chance of seeing overnight lows on Saturday and Sunday morning fall into the 30s. Let us hope the Dodgers’ bats go as cold this weekend. As a southerly flow resumes this morning, humidity will return to Houston, and highs will climb into the lower 80s under sunny skies. There could be some gusty southerly winds later this morning, especially closer to the coast. Lows tonight will be in the 60s. 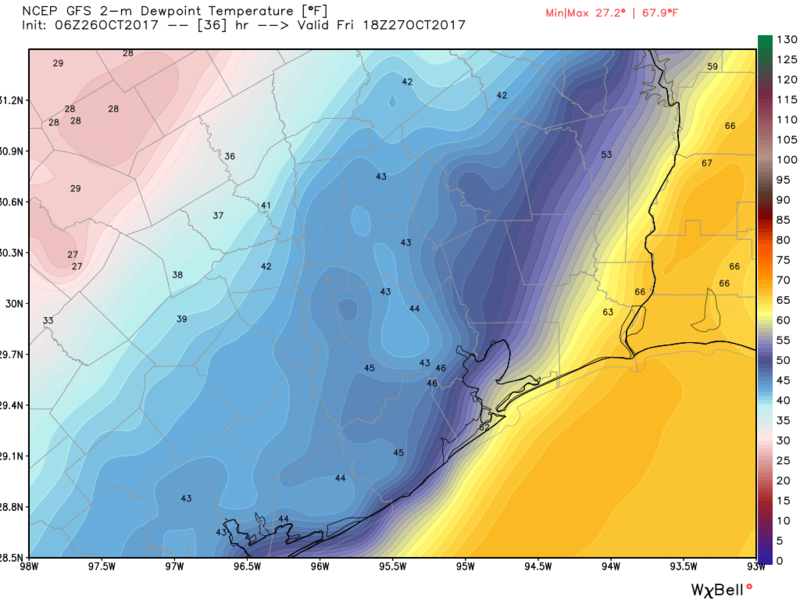 A strong cold front will approach the northwestern areas of Houston on Friday morning, likely pushing into the city around 9 or 10 am (give or take), and off the coast by or before noon. Some scattered showers and thunderstorms may accompany the frontal passage, but we’re not expecting any kind of significant rain accumulations, and rains should end during the afternoon hours. Highs should reach around 70 degrees on Friday before a steep dropoff in temperatures during the evening hours. 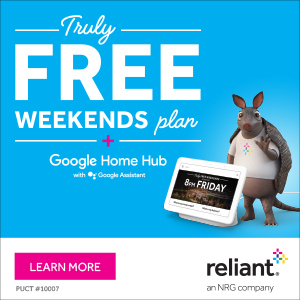 The Houston Astros return to Houston for games 3, 4, and 5 of the World Series on Friday through Sunday. Although we don’t have any particularly deep insight into their roof policy, generally the Astros keep the roof closed when nighttime temperatures are below 65 degrees. Friday and Saturday’s game time temperatures should be in the low 50s, and Sunday’s temperature should range from the low 60s to mid-50s. Bottom line, we think it will be too cold on Friday and Saturday for an open roof, but we think there’s an outside chance the roof may be open Sunday. And let’s face it, fireworks to celebrate the team clinching the World Series would be grand. Cold. Highs Saturday will be in the low 60s, and for Sunday, the upper 60s. Overnight lows will be in the low 40s closer to the coast, and around 40 degrees or below for areas generally north of Interstate 10. Wind chills early on Saturday morning will be … chilly. Sunday morning should be a couple of degrees colder, with fewer winds. The onshore flow returns later Sunday or Monday, and most of next week should see highs in the upper 70s to around 80 degrees, with nights in the upper 50s or lower 60s. Chances of afternoon and evening rain showers and thunderstorms return around Tuesday. We’re watching for rain chances on Halloween. I remember in 2005 it was a big deal that for a World Series game, the Baseball Commissioner rather than the Astros had the final say over whether the roof was open or closed. He insisted on having it open, and everyone was mad because the Astros play better with it closed. The rest is sad, painful history. If that’s still the case, then the decision might be made by someone up north who thinks the 50s are beautiful baseball weather. Or someone who just doesn’t like the Astros. The roof should be open on MMP, PERIOD. That’s the only way to experience playoff baseball. No way. Are you a Dodgers fan or what? Home. Field. Advantage. No, leave the roof closed. The place is so much louder that way. Open when the Dodgers are batting, and closed when the Astros are batting? You sir would have my vote for general manager of the Astros! Any further intel on the disturbance by Nicaragua/Honduras/Carribean? I see it’s got a 30% chance of formation and while you said if it forms it should pull towards the northeast, just concerned here and looking for info. Thanks for all that you do. An “outside chance”. I see what you did there. The Astros will not open the roof under any circumstances or weather conditions.